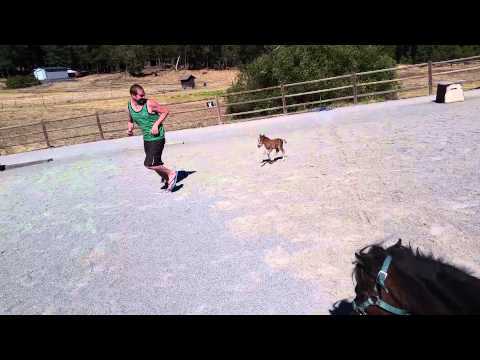 This guy was taking a run when he was joined by a tiny miniature horse. The horse only 3-days-old was running after the guy and full of energy. The owner of the tiny horse is selling it for $5,000. Horses are compassionate animals and love the presence of humans. The guy uploaded this video for his friends to see and it has been viewed nearly 6 million times.